The original jetpack shooter returns, as InstantAction gets ready to debut their web-based version of Starsiege: Tribes at the Game Developers Conference next week. When browser-based gaming destination first announced GarageGames' Fallen Empires: Legions, people immediately started calling it a browser-based Tribes. InstantAction would rather we call it the spiritual successor, especially now that they've got an official web-based version of Tribes on the way. 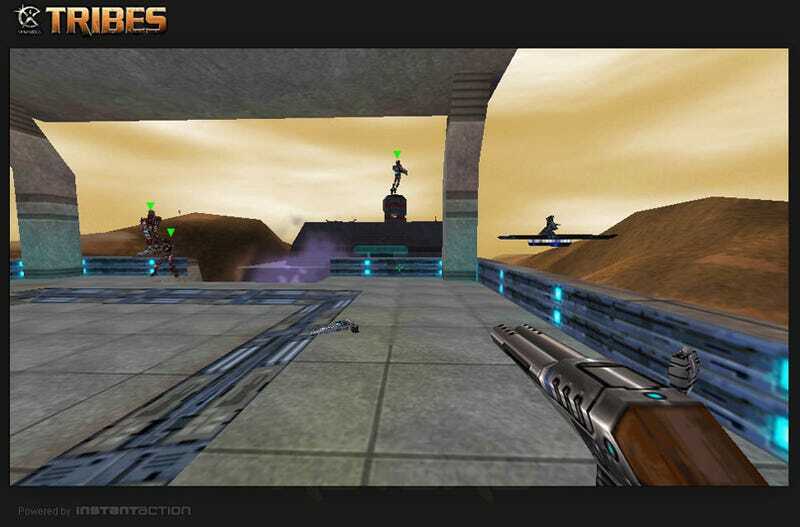 The new web-based version of Tribes will feature enhanced graphics, thanks to InstantAction's powerful browser-based gaming tools, along with better modding options. Visitors to the Game Developers Conference in San Francisco next week will be able to get their hands on a playable version of Tribes, while learning how InstantAction managed to deliver an updated version of the game in web browser format. Check out the first screens of InstantAction's Tribes below!